Wealth management in Dubai is an important requirement if you’re an expatriate who regards the Emirate as your home. This is because many expats find that despite enjoying tax-free income in the UAE, the inimitably amazing local lifestyle quickly eats up their disposable cash. This means that the chance to get ahead, thanks to tax-free earnings, can be wasted. Therefore, without careful financial planning focused on preserving and growing your wealth, the opportunity to use your time in Dubai for financial gain can otherwise be lost. The concept of wealth management is very straightforward. It’s all about growing and protecting your wealth so that you can enjoy it, benefit from it, and ensure it is preserved for your future generations. If you have less than £250,000 in investible assets, you’re unlikely to need active and ongoing wealth management. Instead, it may be sufficient for you to work with financial advisers in Dubai as and when you want some help planning and implementing your financial strategy. Thereafter you may be better off, financially speaking, doing it alone. You can save and invest your own wealth, and ensure you have the right insurances in place to protect your family, without the aid of a dedicated IFA helping you each step of the way. However, if you have over £250,000 or you have a complex financial position, it will be worth speaking to financial consultants in Dubai who can help you effectively structure your finances. They can also provide ongoing wealth management assistance if you require it, with a discretionary portfolio management service. This can see your wealth fully managed to meet your individual needs. Such a service looks after your money over the long term, with your dedicated wealth manager making all the investment management decisions to meet your goals. There is a big difference between a financial salesperson – usually falsely labelled an IFA – and a consultant such as a chartered financial planner. The former may sign you up to the likes of structured savings products that appear to be free of up-front direct fees – but which are actually very expensive indeed because of commissions paid to the salesperson out of your money, and hidden charges. Such structured savings products include, but are not limited to, Zenith from Friends Provident International, LifePlan from RL 360 (formerly Royal London 360), and Futura from Zurich. 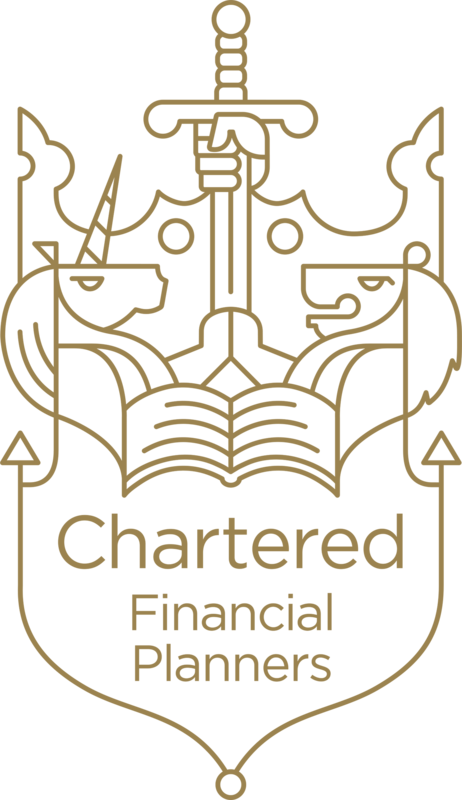 Chartered financial planners on the other hand, usually charge an agreed up-front, transparent fee for their services, and ensure you’re invested in solutions that are as low cost as possible, and as appropriate for your risk tolerance as possible. If you want to know how to safely choose financial advisers in Dubai, use this handy checklist. If you’re looking for some basic advice now you’re an expat living and working in the UAE and focused on making the most of your time in the emirates from a financial perspective, you can choose to speak to a chartered financial planner in Dubai to get on track. They will take a look at your current holdings with a portfolio review, and then discuss your goals and current financial position with you. They can help create a financial road map for you, to show you what you need to do in order to meet your objectives. Having an appointment with a chartered financial planner in Dubai will get you on the right track so you don’t fritter away your opportunity to get ahead, financially speaking. No matter what stage you’re at on your financial journey, there are important wealth management considerations to have in mind. As perhaps a fairly new expat, you may have no financial plan in place for your time in Dubai yet. Perhaps you want to save enough to buy a house one day, but you also want to enjoy your time as an expat. Your chartered financial planner in Dubai is likely to focus on helping you achieve the right balance in terms of saving, investing and being able to enjoy your time abroad. Ways to grow your new wealth are likely to include regularly saving and investing it at low cost. Whilst you may not see any urgency to start your financial plan, your adviser will explain that the earlier you start managing your wealth, the better. Good financial consultants in Dubai will all focus on the same thing – helping you define your future financial goals, and putting the building blocks in place for you to achieve them. Like many expats in Dubai, you may have been targeted through cold calling, or a referral from a friend, and ended up dealing with a financial salesperson instead of a qualified adviser. You may have been locked in to an expensive and inflexible savings scheme and discovered your wealth has not been effectively managed at all. As a result you may find it very difficult to trust anyone to give you wealth management advice. You need to find a reputable, regulated company with integrity, with which you can work transparently to rebuild your trust. What’s more, your financial planner’s focus will need to be on assessing your current portfolio to see what can be done. Rebuilding financial security will also be a priority. 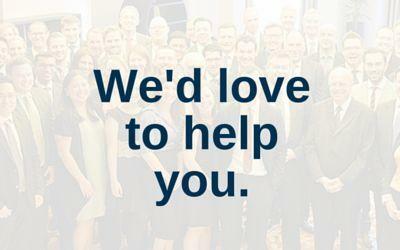 As a senior leader or partner in a prominent international firm, you may have distinct needs, earning patterns, lifestyle expectations, and compliance obligations relating to taxation for example. As you are in a high earning, capital accumulation part of your career, you may already have saved and invested significantly. You may also have defined goals, have achieved some of them already, and be looking to maximise financial growth. You are likely to benefit from the services of a chartered financial planner who can assess the effectiveness and appropriateness of your current holdings, and define ways you can further maximise growth. Focus may be placed on other areas such as tax and retirement planning as well, in order to ensure you’re making the very most of your strong earning capacity at this life stage. As you reach the apex of your career you may well be planning for the next stage of your life, and you may have ambitions to retire back home or elsewhere abroad after you choose to complete your career in Dubai. A chartered financial adviser in Dubai may well focus on your personal finances, occupational pension scheme benefits and related exit options, substantial cash events, property structuring and estate planning. As your wealth management position may include complicated tax implications, these will form a part of any advice you’re given. As a senior professional you may have retired elsewhere overseas after working in Dubai. You may require a UK qualified pension transfer specialist to give you reliable advice on income options and qualifying recognised overseas pension schemes. In addition, your chartered financial planner will focus on creating a detailed cash flow analysis and giving you tax planning guidance to ensure your finances are optimised, efficient, and that your estate is organised in line with your wishes. To ensure you can afford to enjoy the best retirement possible, you will need exceptionally careful planning. International companies in Dubai have local compliance obligations such as group medical and end of service benefit payments. Companies need to invest to manage all future potential liabilities, and structure their financial position to meet goals and obligations. Each company will have a different attitude to risk, and investment horizons vary widely from one entity to another. If you represent an international company in the UAE it will be important to find financial consultants in Dubai who will work closely with all stakeholders to ensure that desired financial goals are met. Find a chartered financial planner in Dubai with whom you can discuss your current position, your plans, ambitions, obligations and risks. Whether you need ongoing advice or not, having at least one conversation with a regulated and highly qualified planner will set you on the right track for managing your wealth effectively. Your financial planner will either set you on the right path so you can do it yourself with the likes of ‘robo’ investment platforms and online learning resources, or, if your situation is more complex, they will create a detailed financial plan for you. This will include a financial map of your life, supplying you with accessible financial education where required, and delivering an implementable step-by-step guide to achieving your financial ambitions. With your plan in place, whether you do-it-yourself or use the services of your wealth manager in Dubai to implement, if you stick to the plan you will achieve financial success. It will be wise to review your plan annually, and to revisit it if your financial or personal status alters significantly. Having made the decision to get your financial position as well managed and optimised as possible, the way to get started is to find someone you can work with. There are many financial planning companies and individuals working in financial services in Dubai, but make sure you choose to work with reputable, regulated professionals. Look for the Chartered Insurance Institute’s (CII) logo on a company’s website. Chartered status is a gauge of competency and expertise in financial planning. Cross-reference the company’s claim to be chartered with the list of companies the CII lists as having this status on its own website. Ensure the company you’re dealing with is correctly regulated by the relevant Dubai authorities . Finally, make sure you discuss how the adviser or planner you choose to work with will be remunerated. If they say their service is free, that’s because they are not: they will be paid a commission from any financial product they sell you, meaning they may be financially incentivised to sell you the solution that generates them the most wealth. We solve financial questions for expatriates, international investors, non-doms and offshore investors. Benefit from expert research and analysis to help you make good investment decisions.